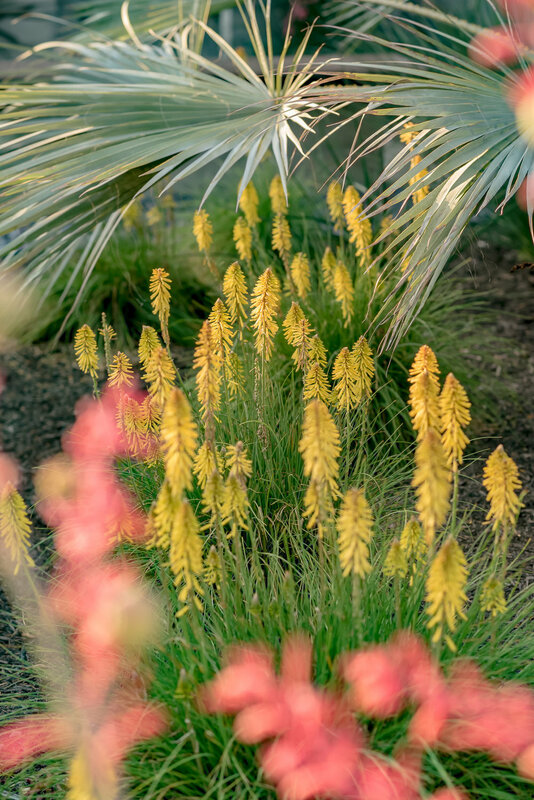 Think of Rolf and Roger’s design as “desert meets the tropics—California style.” The modern features of their newly-remodeled home harmonized with their preferred plant palette. 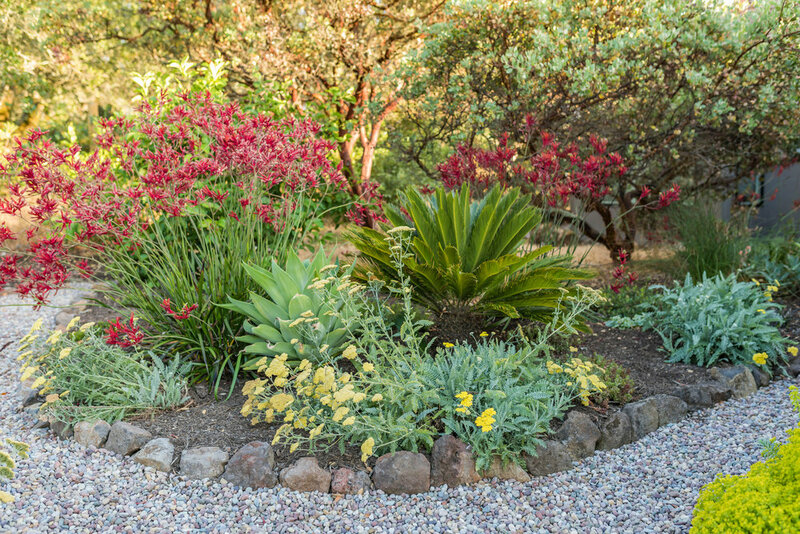 Drought-tolerant succulents, cacti and palms all melded together with native grasses and colorful splashes of perennials. 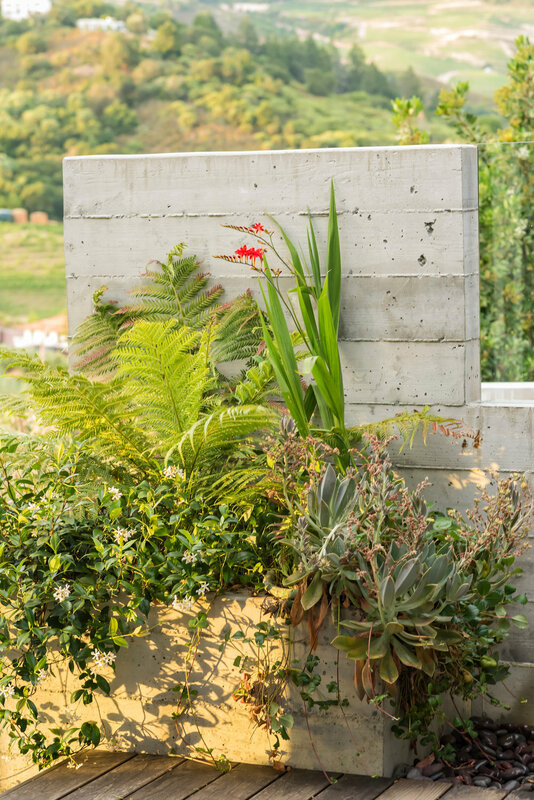 The result is a garden that showcases their house and provides foreground views that enhance the more extensive distant mountain views. 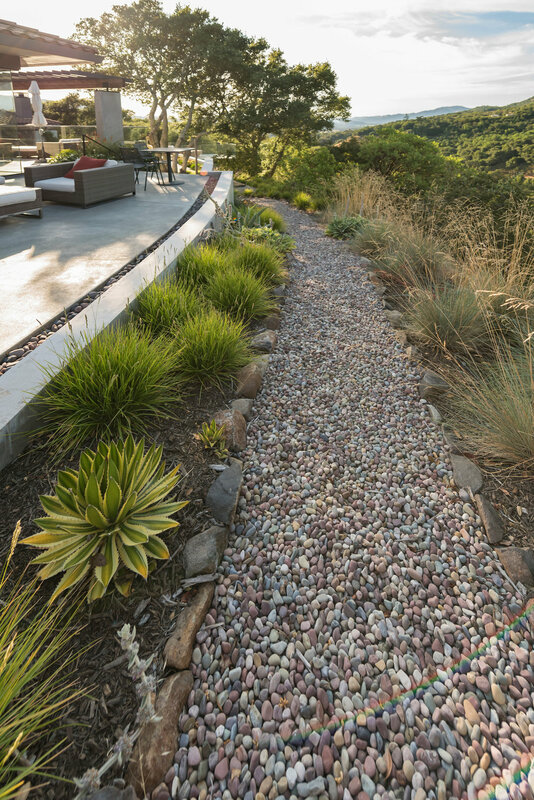 Home and hardscape design by Elevation Architects. "We worked with Margaret on the redesign of our garden as part of a major renovation of the main house and decking spaces. We found Margaret to be a very good listener to our requirements, which she was able to translate into a design and execution which exceeded our expectations. She was very flexible in working with our existing gardener for implementation and maintenance. Margaret is pleasant to work with and is conscientious in checking in on how the garden develops over time." –Rolf D.